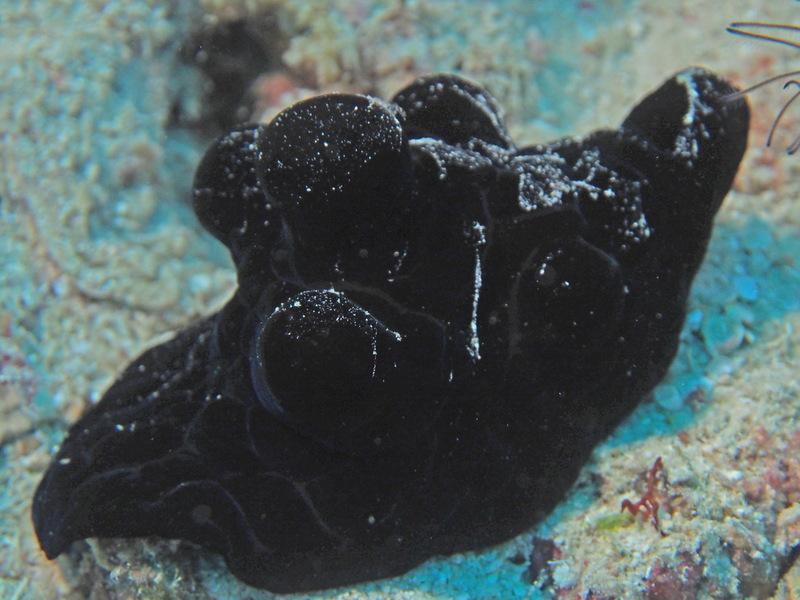 If you see this snail, your first thought is, that it is just a sponge. It is extremely well camouflaged, it even has "siphon holes" like a sponge. The english name of this snail is my translation from the German "Samtschnecke". It might have another name in English. I had seen this snail only once in the Maldives, where they are smaller. Look at this different species (Chelyonotus semperi) with the beautiful black and blue patterns.